Frances Jeanette Sullivan, 85, passed away on February 14, 2019 surrounded by her loving family. Frances was born on October 17, 1933 to Thelma and Grover Browning, in Frisco City, Alabama. She spent most of her younger life raising her three children. She worked as a waitress at the Golden Greek Restaurant in Galveston for many years. In December of 1972, she married the love of her life, John Sullivan, who was a Guard Master Chief in the U.S. Navy. Frances and John spent time traveling the country and loving life but never forgot to give back to their community. They would dress up every Christmas as Santa and Mrs. Claus and would visit nursing homes and deliver presents to less fortunate families. This brought them great happiness. Frances was an active member in her community. She was a member of the VFW Post #880 Ladies Auxiliary. She was a treasurer for her Grandmother’s Club #277, which raises money for childhood diseases. Oh, how she loved baking for those bake sales! She was a member of The Dream Team at Crosspointe Community Church in Texas City. She could often be seen cooking up burger baskets at the VFW Bingo every Friday night and at the bowling alley every Saturday morning with grandchildren in tote. Frances had a huge heart. She always had a big pot of food for the neighborhood kids and her home was always open to anyone in need. 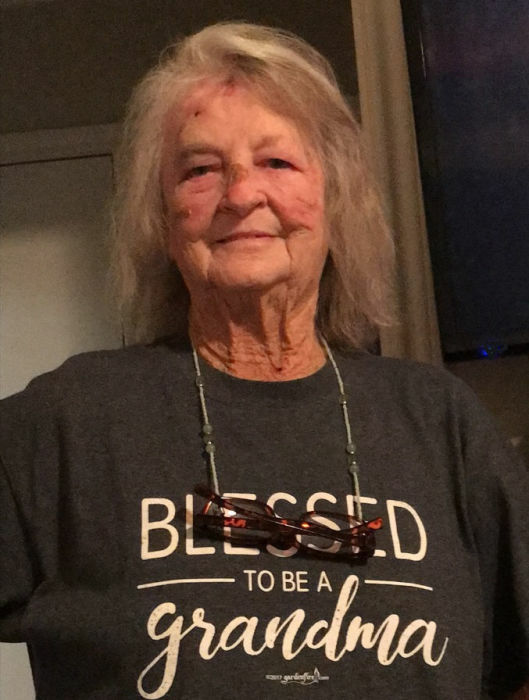 She loved to bake, play bingo, gamble and spend time at Lake Palestine every summer with her family and friends, but the love she had for her family and her faith in God is what she will mostly be remembered for. Frances is preceded in death by her parents; her husband of 30 years, John Sullivan; daughter, Sherry Todd; son, Dave Todd; sister, Katherine Shumock; brothers, Raymond Browning and Cleveland Browning. She is survived by her son, William Todd; grandchildren, Charles Chase Busby(Julie), Jason Maldonado(Lalanya), Alex Todd(Victoria), Kevin Ball, Paul Todd and Erica Gartee; great-grandchildren, DeAnna Busby(Asia), Sherry Busby, Chase Busby, Loren Turrubiate, Ever Maldonado and Liam Todd; sister, Betty Jay(Wayne); and brother, Condie Browning(Betty). Visitation will be held at J. Levy & Termini Funeral Home on Sunday, February 17, 2019 from 5:00 P.M. to 7:00 P.M. Funeral services will be held on Monday, February 18, 2019 at Crosspointe Community Church, 722 3rd Avenue North, Texas City, Texas 77590, with Pastor Jesse Garcia officiating. Interment will follow at Grace Memorial Park in Hitchcock, Texas. Pallbearers will be Charles Busby, Chase Busby, Alex Todd, Kevin Ball, Kevin Francis and Felix Cuellar.